Hi, everyone! Happy Friday! Is everyone done shopping for the holidays? I still have a few things to pick up, but I’m in good shape! Christmas nail art is my favorite type of art to do. In the past, I’ve done some pretty cool ones! 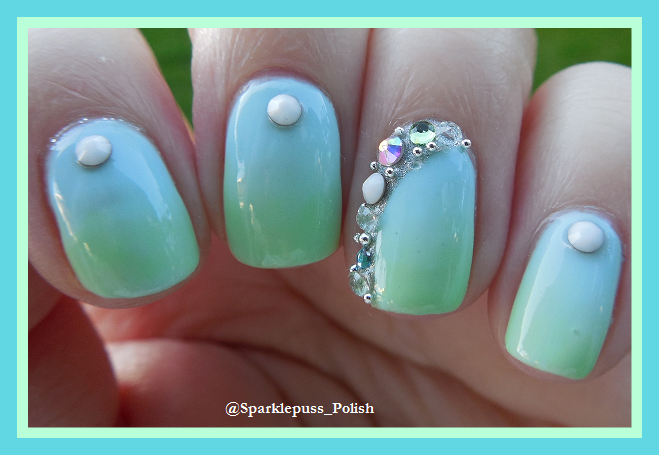 I decided that in between new Christmas manis, I’m going to show you some cool old ones! The cuticles aren’t the greatest, and in some my pinky nail is cut frighteningly short, but the art is fun! This is definitely a favorite of mine! This was done with all Sally Hansen and Pure Ice polishes. This was done with one of my favorite polishes- Cherokee Rose by Lucky 13 Lacquer and Sally Hansen gold foil polish. I absolutely loved the look of this one! This one was done using Doctor Lacquer, Sally Hansen, and Pure Ice. Just looking at that pinky nail makes me cringe! ouch. What kind of nail art is your favorite? These are all cute but I LOVE the first mani! the first one is the bestest one. Yeah, I was really proud of that one! I really love the trees with the different nail art items. They are amazing!